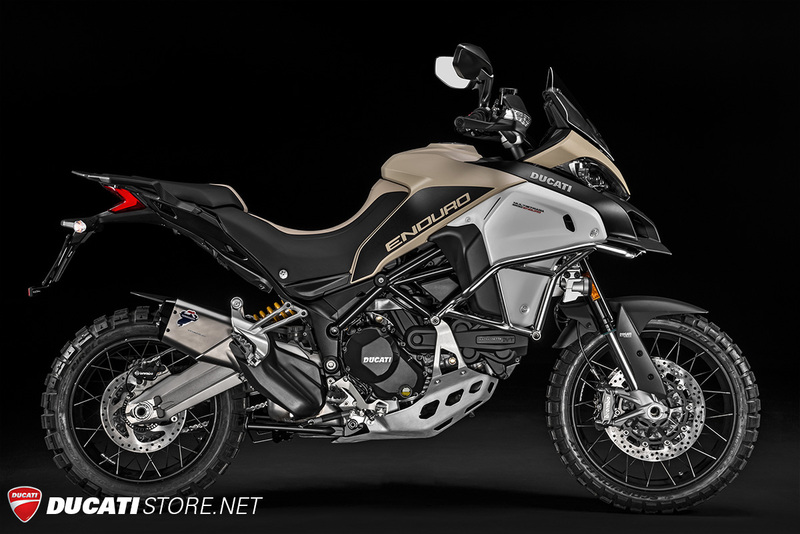 Contact Ducati Manchester for full details and offers on the 2017 MTS Enduro Pro. 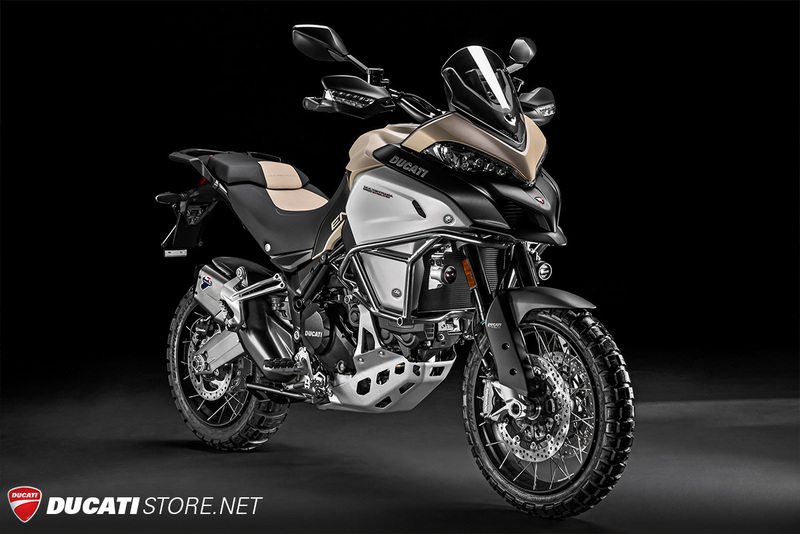 New colour scheme, tyres developed for road and off-road use, accessories designed for the less-beaten track. 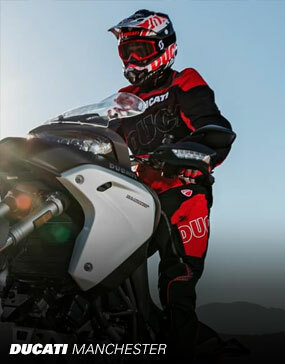 Contact us today to book a test ride and find out our latest special offers on Ducati Multistrada Enduro Pro. 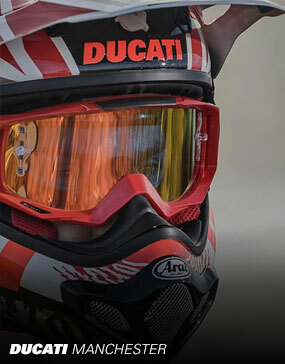 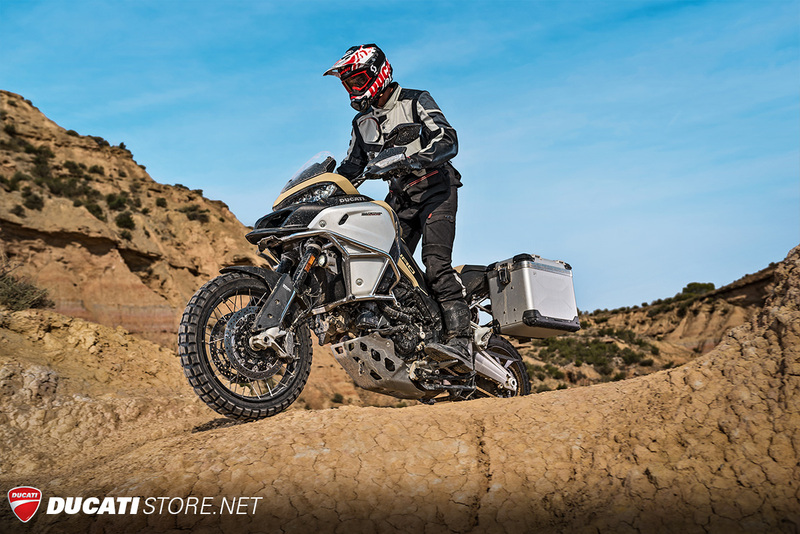 Other Pro features include Ducati Performance bull bars by Touratech with LED lights, the low screen - great for on-the-pegs off-road riding - and the type-approved Ducati Performance exhaust by Termignoni (compliant with EU standards). 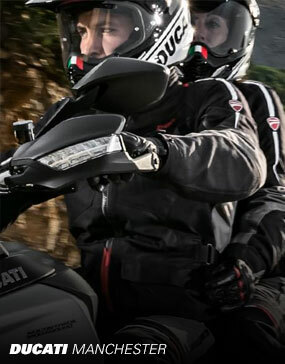 Front wheel - Tubeless spoked wheel in light alloy 3" x 19"
Rear Wheel - Tubeless spoked wheel in light alloy 4.50" x 17"
Instrumentation - Colour TFT display 5"
Clothing fit for every occasion. 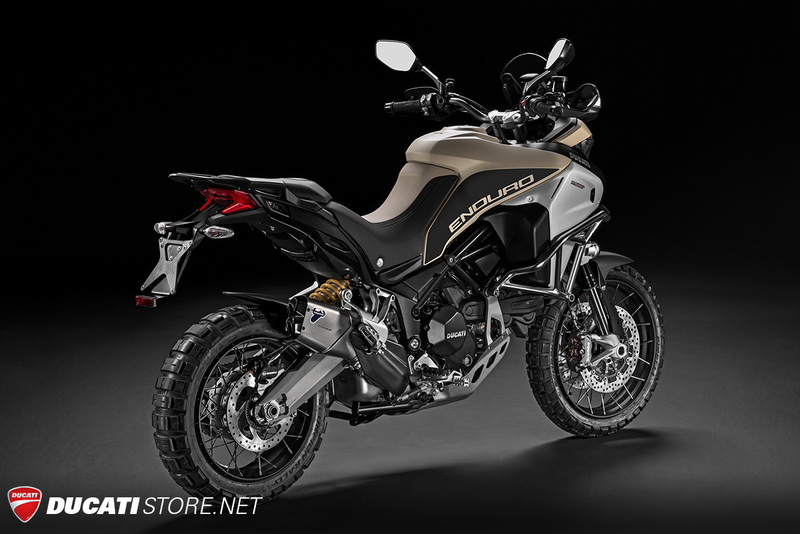 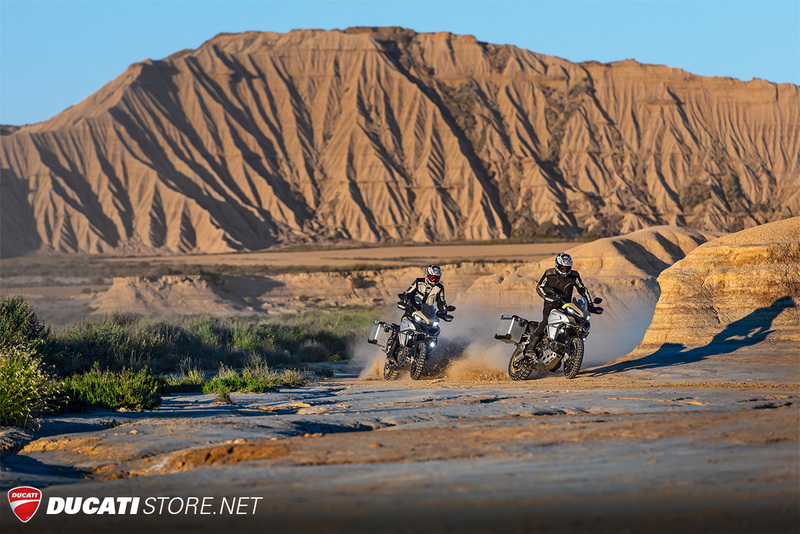 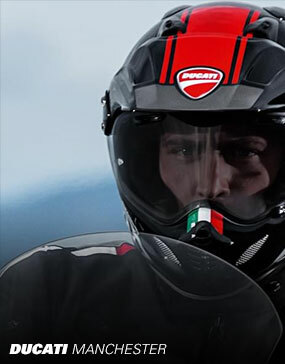 Choose the character of your Multistrada 1200 Enduro Pro. 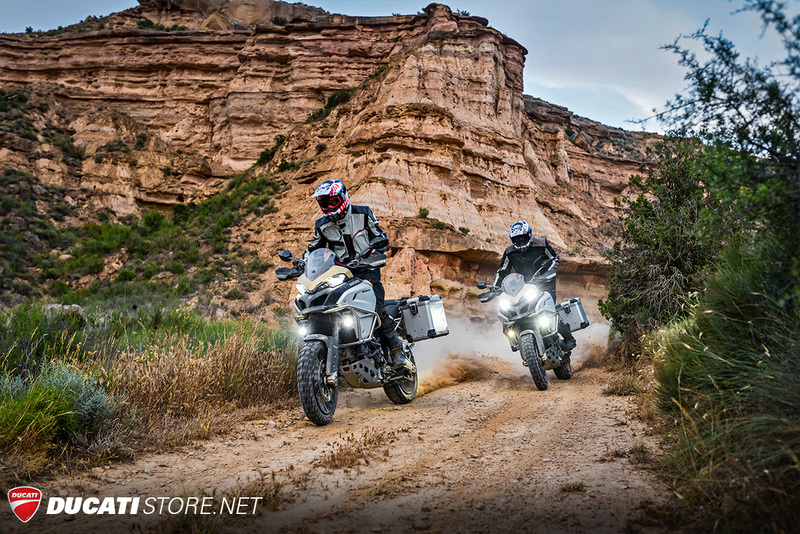 Get in touch with us today to arrange a test ride, enquire about financing, or learn more about the new Multistrada Enduro Pro.